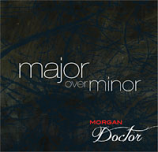 Morgan Doctor's latest CD. Once again she has produced something of great quality, depth and beauty. If you like her other work you'll want this - it has one significant difference to "Other Life" - it is instrumental (more similar to "Is This Home") and has a powerful and mesmerising ambient quality reminiscent of film soundtracks. Morgan Doctor has done it again! 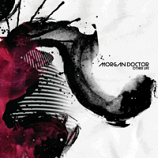 Morgan Doctor's rich, evocative second cd travels deeply through wonderful, earthy soundscapes in the first half and emerges into a lighter, spacious place towards its end. An incredible journey to move to the whole cd. Highly recommended. Spacious, celestial hang music with rhythmic pulse. Plenty of space on this track for stillness but enough drive in the rhythm to keep your dance alive and sparkling. All proceeds from the sale of this MP3 go to support the "One World Mosaic". The following "clips" include two other tracks from Morgan Doctor's beautiful CD, 'Is this Home' (from which the track Albilynn du Sud comes). If, as we did, you fall in love with Albilynn du Sud and want to buy the whole CD, go to Morgan Doctor on the artist's list to order the full CD.